The AIDAprima has a received the brand’s trademark smile at the Mitsubishi shipyard in Nagasaki. Hull work began at the end of last month, according to AIDA Cruises. 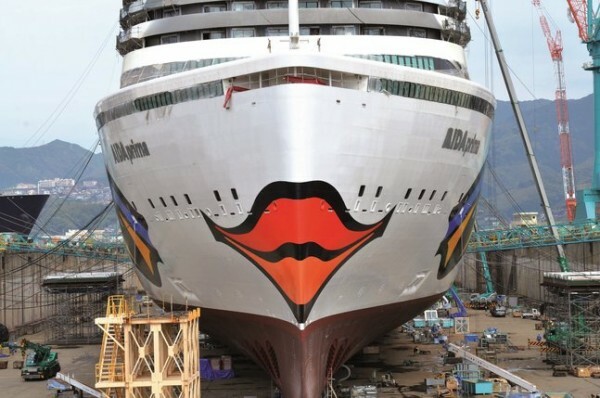 The smile is painted individually on each ship by Rostock artist Feliks Buttner. Featuring a new bow design, the new ship is said to be more energy efficient. The bow design along with the positioning of lights and anchor hatches had to be taken into account for the painting so that it would maintain its familiar three-dimensional effect. A total 342 liters of paint of eleven different colors were used. AIDA said in a prepared statement that in 1996 it became the first cruise company to introduce painting of the bow. For two decades, AIDA ships have been wearing the smile across the oceans. 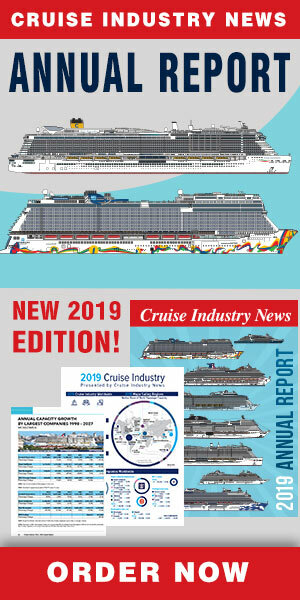 The 124,500-ton, 3,286 passenger (double occupancy) AIDAprima starts its maiden voyage on October 1 from Yokohama. The 50-day journey ends on November 20, 2015, in Dubai. 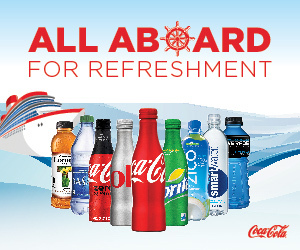 The cruise can also be booked in five different segments. During the winter season, the ship will sail seven-day Orient routes from Dubai and Abu Dhabi. On March 18, 2016, the second stage of the maiden voyage takes place, from Dubai to the future home port of Hamburg in 38 days. The AIDAprima starts her year-round program from Hamburg on April 30, 2016. The first seven-day trip from Hamburg will call at Southampton, Le Havre, Zeebrugge, and Rotterdam.